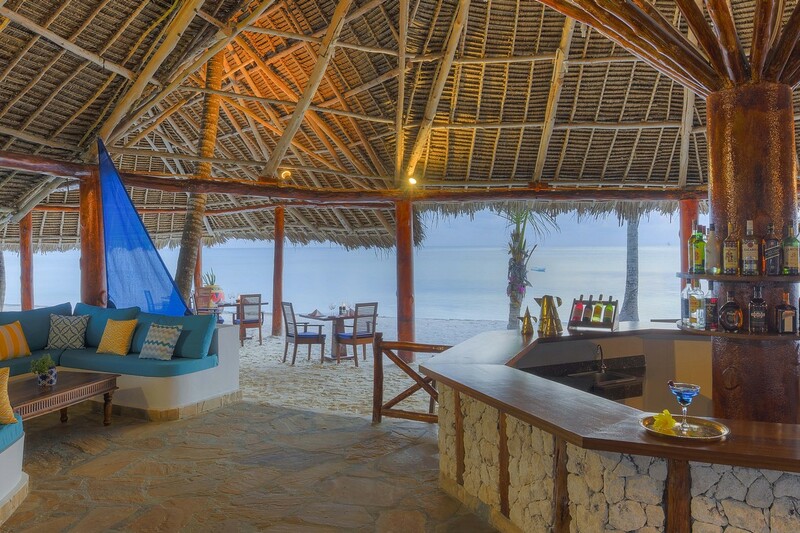 Bluebay Beach Resort & Spa is ideally located on a beautiful stretch of white sandy beach and has a truly exotic feel. 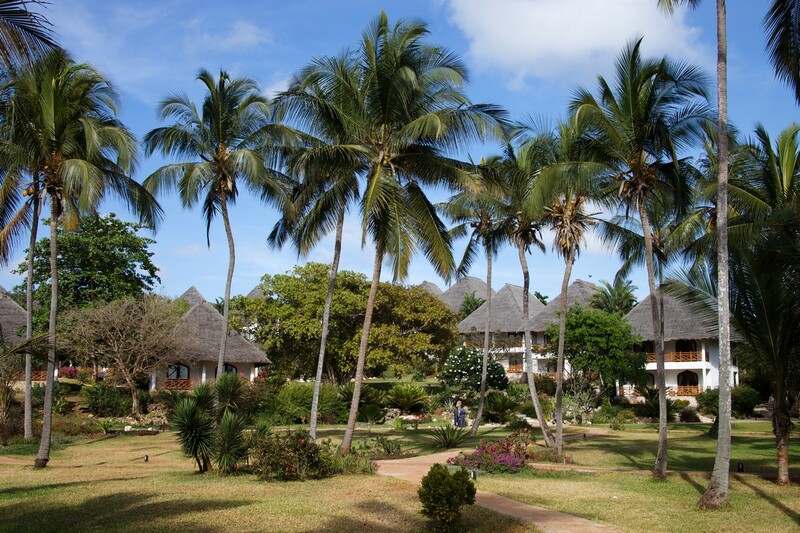 Lush and colourful gardens, home to more than 1000 palm trees, slope down to the beach and sea. The resort has 106 rooms in 4 different categories. 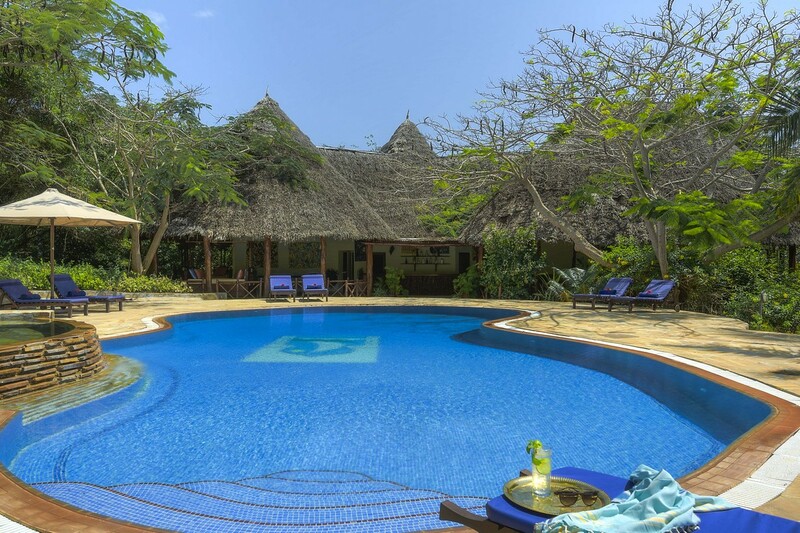 The Garden rooms share their own pool and comprise 6 bungalows, each with four en suite bedrooms. All rooms in this category are sea facing and occupy an elevated position in the grounds overlooking the gardens to the ocean beyond. 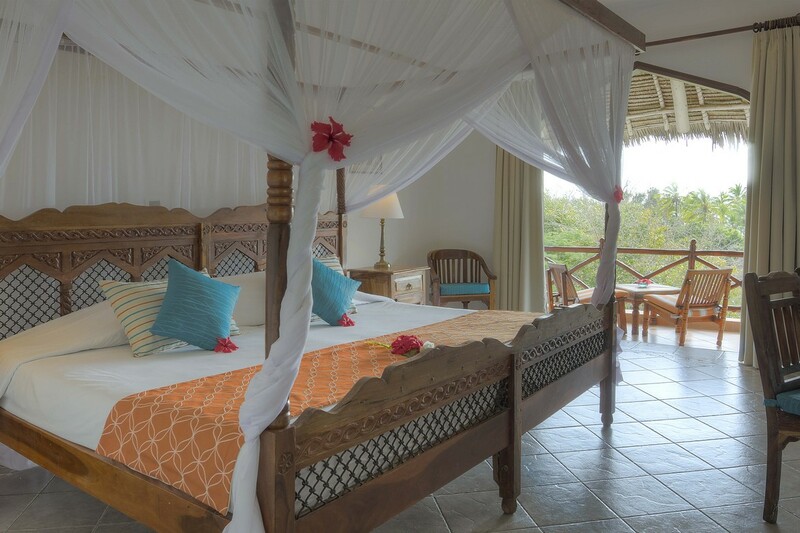 The suites have their own lounge area, a large veranda and a private garden with an outdoor shower. The bathrooms have showers and bathtubs. These two opulent suites are situated at the ocean’s edge with their own private access to the beach and they can interconnect if required. 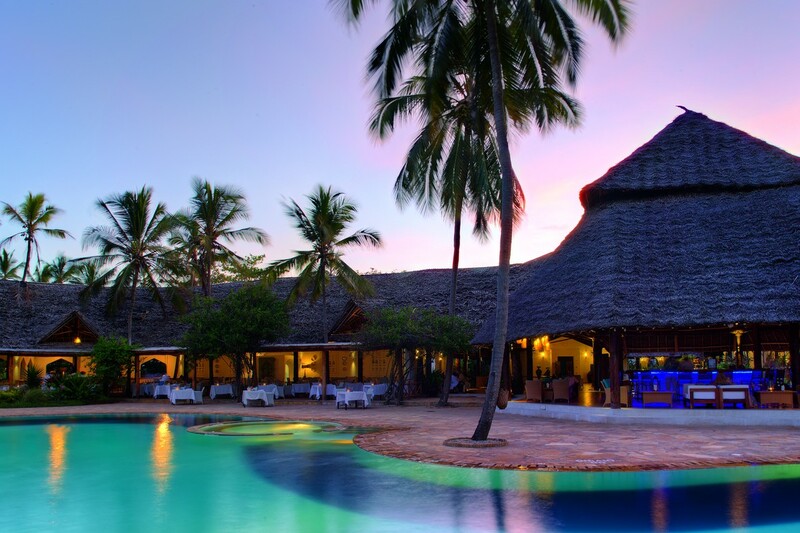 The resort operates on a half board basis with the option to upgrade to full board and All Inclusive. Water, soft drinks, red, white and rose house wines, locally bottled beers and spirits, selected liqueurs, a selection of cocktails and mocktails from 10h00 to midnight. A la carte restaurant serving seafood and local specialities, open for lunch and dinner. Guests enjoy a 15% discount on meals. A la carte, alfresco restaurant at the ocean’s edge serving grills and stir fried specialities at lunch time. Palms offers a full range of alcoholic and non-alcoholic drinks, plus there is a shisha corner and a live band performs most evenings. The café offers freshly ground coffee, a selection of cakes, pastries, sandwiches and a delicious array of ice creams. For children aged between 3 and 13 years, Toto Club is a professionally run children’s club with weekly themed programmes and a range of indoor and outdoor activities. The Oasis Spa is idyllically situated right on the beach where the cool breeze and sounds of the ocean provide the ultimate experience in relaxation. WiFi is complimentary throughout the resort.